Whenever Inlander art director Chris Bovey has a new print in his landmark series, he hangs it on the wall of his cubicle and the rest of us rubberneck to check it out as we walk by. We’ve featured the series before, as has the Spokesman and Collect. The new one that appeared today was an instant hit — of all iconic Spokane landmarks, it’s possibly the most iconic. People starting looking for their wallets and checkbooks, and Bovey made a number of sales within hours. 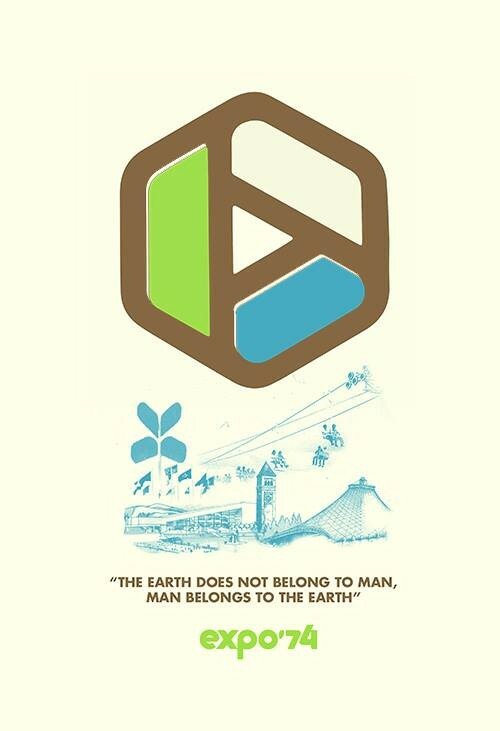 It’s a print with the iconic Expo ’74 logo, and it’s been in the works for months. Bovey started selling his prints at Atticus about a year ago, and he says every time he stopped by Andy Dinnison would ask him when he was going to do one for Expo ’74. 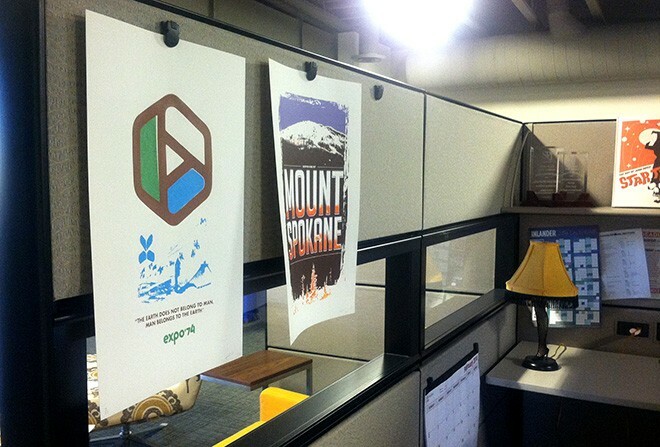 So, last October he approached the parks and recreation department about doing an Expo-themed poster, and they expressed interest. But then, month after month, nothing happened. So Bovey kept calling and finally, late last month, he found out that the parks department could not commission a poster but also could not stop him from making one. This year is the 40th anniversary of Expo ’74. Along with the mobius-inspired logo, the poster includes other Riverfront Park icons like the U.S. Pavilion and the butterfly statue. If you want one for yourself, the first run got dropped off at Atticus today.